Our tongs are state of the art, light weight, strong, durable tools designed to give maximum holding pressure with minimal risk to you and the reptile. 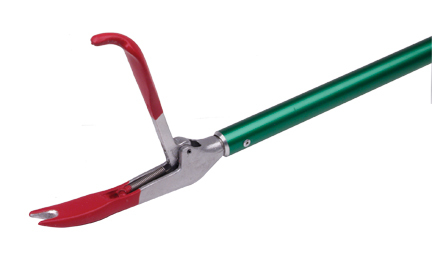 These tongs feature 1) anodized aluminum tube, 2) pistol grip handle for one hand operation, 3) strong cast aluminum handle, lever, and tong jaws, 4) stainless steel aircraft quality cable 5) concealed stainless steel jaw spring. 312 Tongs are humane and effective reptile handling tools that can be used as an extension to your arm for just about anything. 313 Tongs are humane and effective reptile handling tools that can be used as an extension to your arm for just about anything. 314 Tongs are humane and effective reptile handling tools that can be used as an extension to your arm for just about anything. 315 Tongs are humane and effective reptile handling tools that can be used as an extension to your arm for just about anything. 316 Tongs are humane and effective reptile handling tools that can be used as an extension to your arm for just about anything. 317 Tongs are humane and effective reptile handling tools that can be used as an extension to your arm for just about anything. 318 Tongs are humane and effective reptile handling tools that can be used as an extension to your arm for just about anything. TRC Tong Cushions provide extra protection for maximum animal comfort and safety.